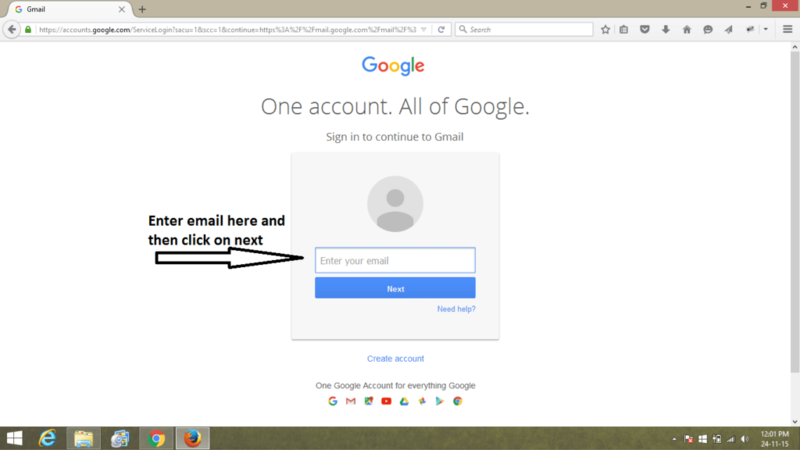 Today in this article, we will tell you “How To Secure Gmail with 2 Step verification”. 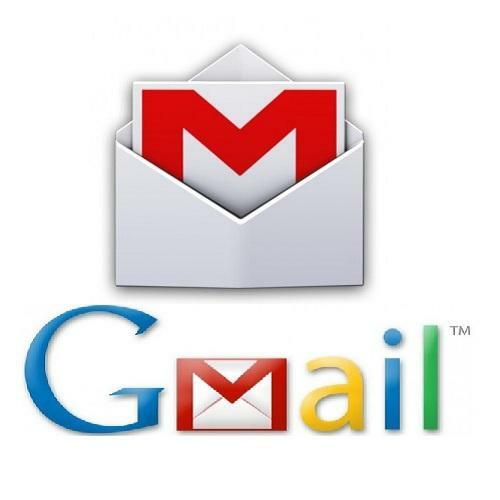 Gmail is the most popular Email service provided by Google in today’s time. this mail service was published on 7 February, 2007 with initial space of 1 GB per user to store their mails on web, although google continuously increased their space for free users a detail about increment in data is given Below. 1 April , 2005 the first anniversary of gmail, the limit was doubled from 1 GB to 2 GB. 24 April , 2012 space was increased from 7.5 GM to 10 GB. 13 May , 2013 Space was increased up to 15 GB per user, paid plans also available on Google for personal use up to 30 TB. At one time Google was provided users an Unencrypted connection to retrieve user data, however users were able to force Google to use a secure connection by replacing URL from http://mail.google.com/mail/ to https://mail.google.com/mail/ which reduce the risk of third party eavesdropping on user information. Gmail also supports two step verification which allow users to protect their account more strongly. 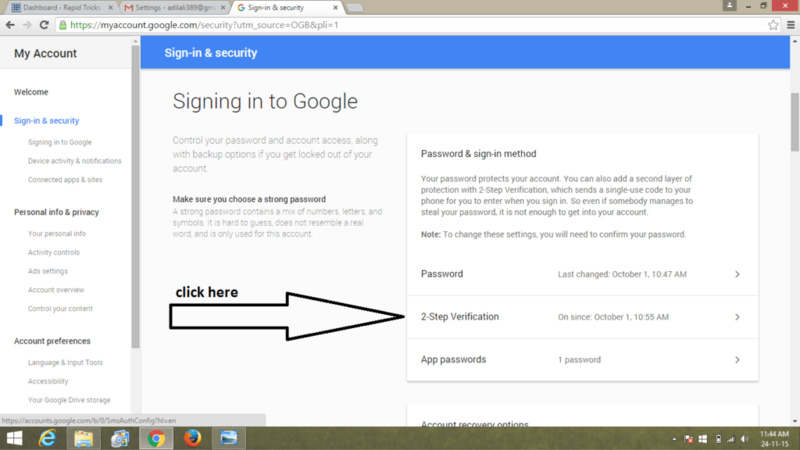 in this Article we will tell you ” How to secure Gmail with 2-step verification “. Gmail is growing to be more secure with its 2 step verification process in which user will need to authenticate their identity by two processes. After enter password you will need to enter 6 digit code (sent to your registered number). 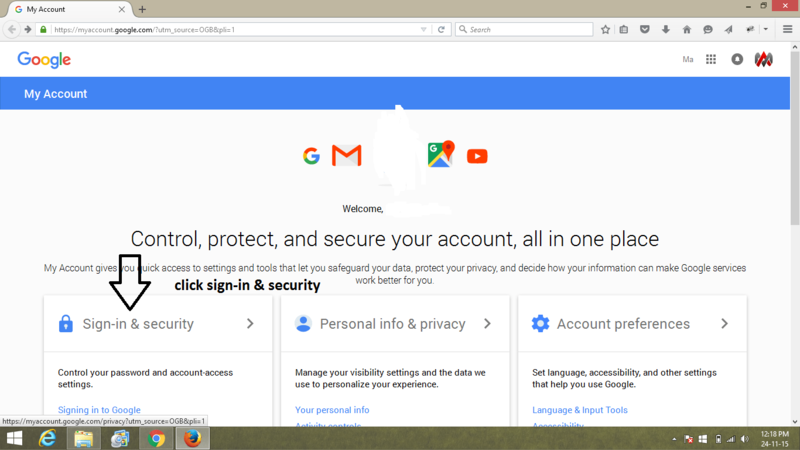 simply it is more secure as no one can access your gmail account with your password only, he will need the 6 digit code which will be sent to your mobile number so you will know some one tried to access your account. Click on google apps icon. Scroll down and found 2-step verification. Click on start setup button. Add a phone number on which google will send 6 digit code every time you login to your account. 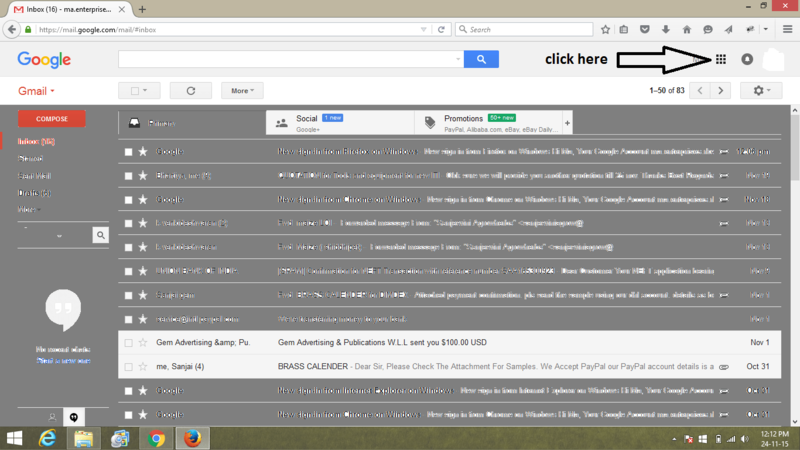 First of all you will need to open your browser and in it type www.gmail.com . Now click on sign-in & security Tab. Now scroll down and you will see 2 step verification tab, click on it. Now add your phone number to get 6 digit code from google every time you login.